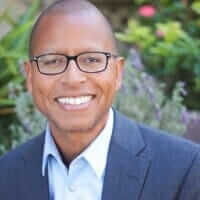 Danny Guillory is the head of global diversity and inclusion at Autodesk, where he works to integrate all dimensions of diversity and inclusion into many parts of the organization, including customer acquisition, recruitment, hiring, people development, advancement, investment, and acquisition. He is interested in the application of people analytics to different initiatives. Previously, Guilllory was CEO of Innovations International, a consulting firm that assists companies globally on leadership, innovation, and diversity through assessment, strategic planing, learning and development, and internal communications.